Congratulations to Elly Pueschel on graduating in 3 years and being named the 2018 Outstanding Graduating Psychology Senior! 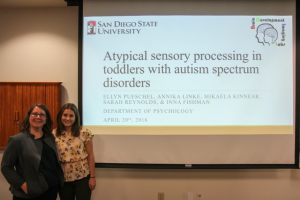 Elly will be starting a PhD program in Developmental Psychology at USC in the Fall. Congrats Elly, you’ll be missed!